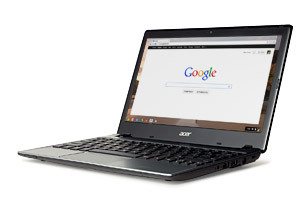 Although the title of this section is Laptops In Lessons the information on these pages applies in the main to any computing device that has an Internet connection. So whether it be an expensive laptop, a MacBook, a cheaper Chrome book or a large smartphone, I hope you find the following information useful. Many students around the world have access to computers in all of their lessons while others might only occasionally get to benefit from modern technology. Teachers are developing different ways of teaching which make use of this technology and students' learning is quite different to that of their parents' generation. Based on my experience of introducing a one to one laptop programme in a large international school I have put together suggestions, advice and tips for mathematics teachers and those involved in managing the academic use of computers in schools. Always have a 'plan B' for your lesson just in case the technology fails. Ask students to close their laptops (screen down to keyboard) when you want to focus their attention on the board or for a whole class discussion. Using one laptop between two students encourages discussion. Even if there are enough laptops for one each this is a good strategy to adopt occasionally. Students will sometimes try multitasking and have other applications open during their Maths lessons. All but the most devious can be identified by viewing the status bar at the bottom of the screen and checking that only the programs required for the lesson are showing. Many teachers have found that Microsoft's 'One Note' provides a good substitute for an exercise book allowing students to create and store their notes in an organised way. For a lesson involving students visiting many websites it is wise to have all the URLs as hyperlinks in a document, webpage, LMS or portal so that time isn't wasted typing in the website addresses. If students are to watch a video or access some other large file from the Internet you may plan to stagger when they access this resource so they are not all downloading at the same time which may slow down the process. Keep safety in mind if students need to plug their computers into wall electrical sockets. Trailing wires can be dangerous. Rearranging desks might allow safer access to the wall sockets. Though it might aid their work in Mathematics, do not encourage students to use illegal or 'pirate' software. Do you have any tips for using laptops (or other portable computers) in Mathematics lessons? Click here to enter your ideas.